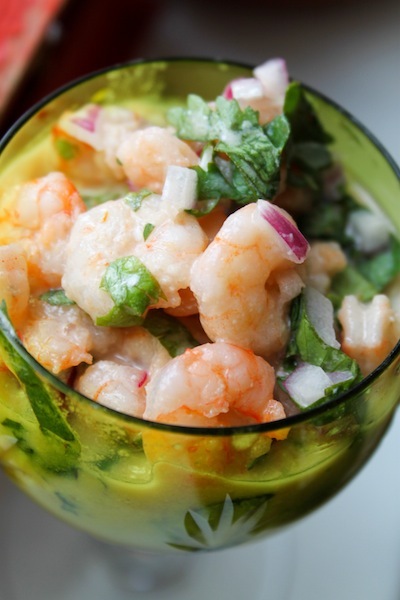 Some Kind of Beachside Romance: Colombian Shrimp Ceviche – Eat Me. Drink Me. 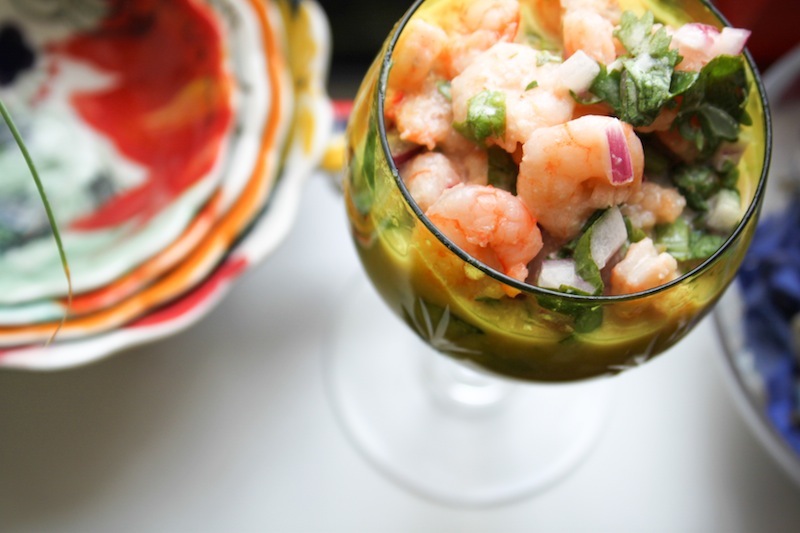 I had to wait another year and a half to try Colombian ceviche, when David offered to prepare it as an add-on to the Chopped competition turned epic feast we held during family vacation. I must say, I was skeptical. 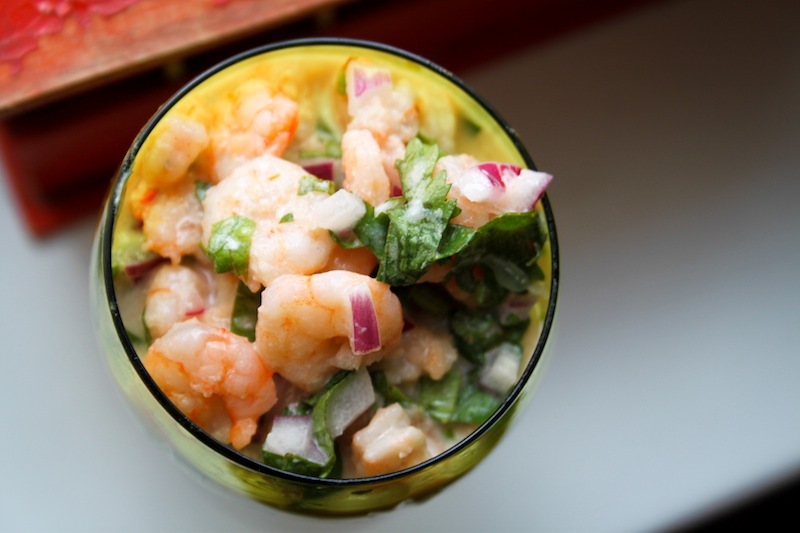 I’d had ceviche before, but it had been purist compared with this. 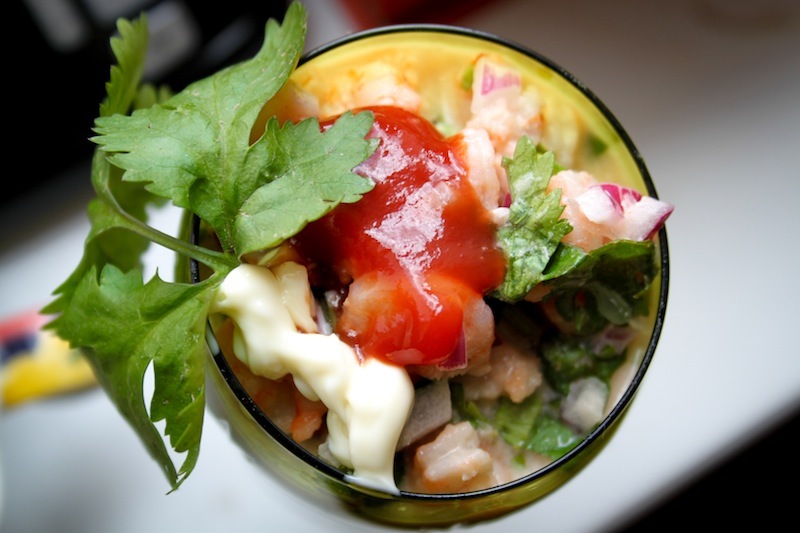 I mean, two of the main ingredients of Colombian ceviche are ketchup and mayonnaise. 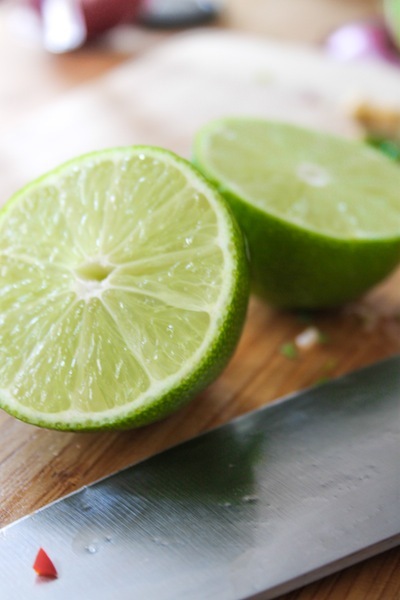 That’s what I put on my burger, not my lime-marinated fish. 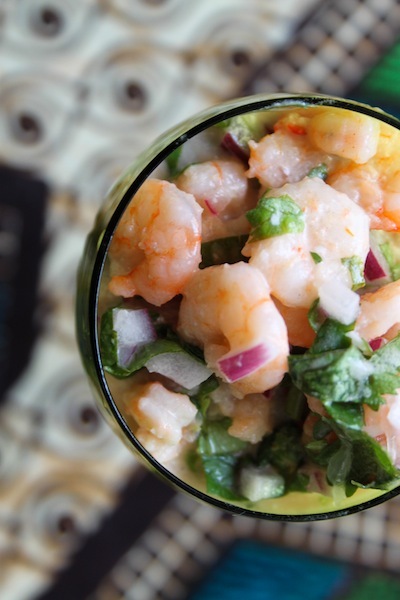 Yet somehow, this truly simple combination of ingredients yields a concoction that’s a little bit sweet, a little bit spicy, a little bit tangy, and very, very fresh. Kind of like a beachside romance, just, you know, properly refrigerated. Serves two. All of the romance, none of the runs. 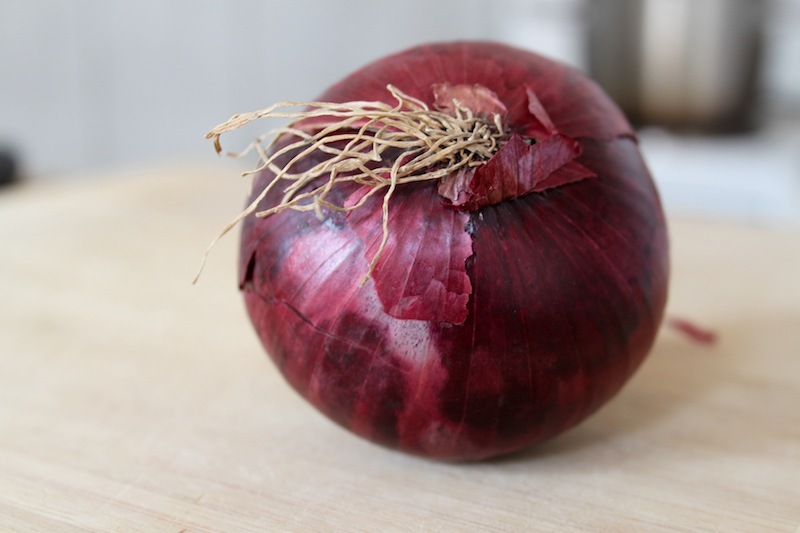 Combine water and chopped garlic in a glass bowl, and allow the garlic to infuse into the water for at least 4 hours, or preferably, overnight. 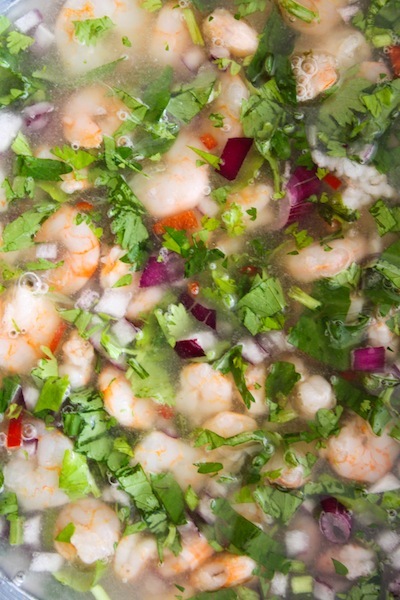 Bring a small pot of salted water to boil, add shrimp, and cook for about 4 minutes. 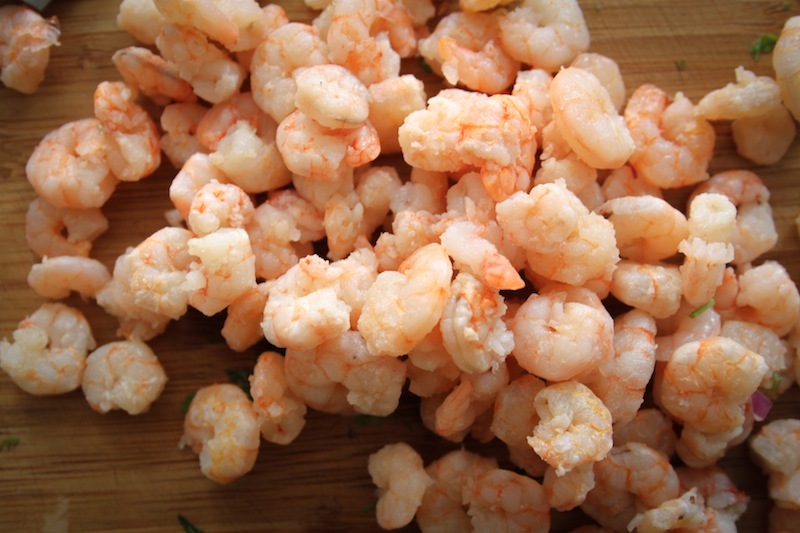 Your quantity of shrimp will have shrunk to about half. 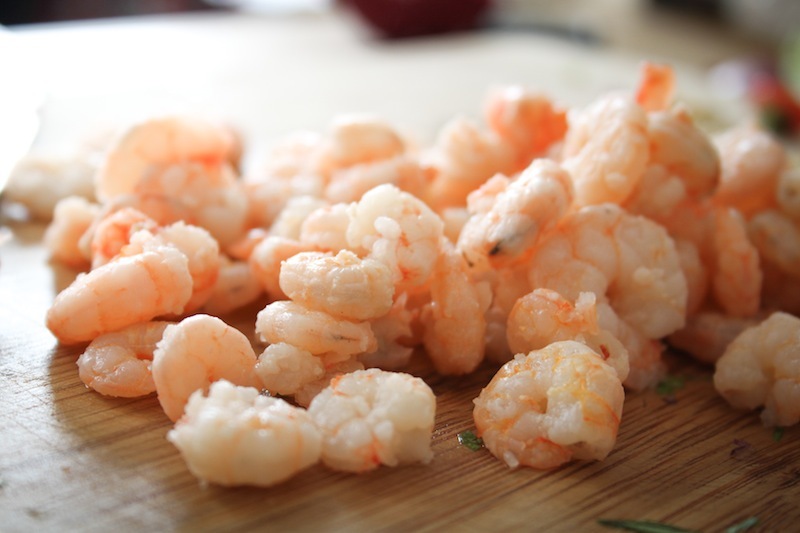 Drain and rinse shrimp with cold water, and place into a medium-sized mixing bowl. 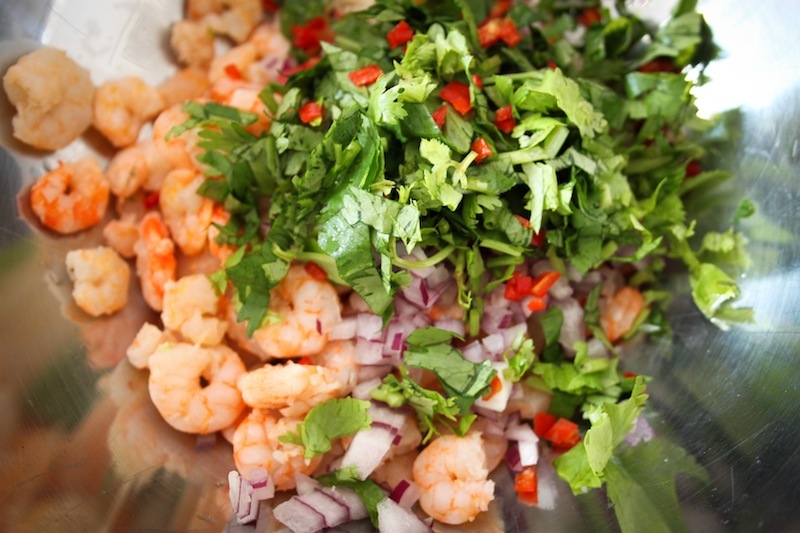 Add lime juice, onions, chili, cilantro, ketchup, mayonnaise, and salt. 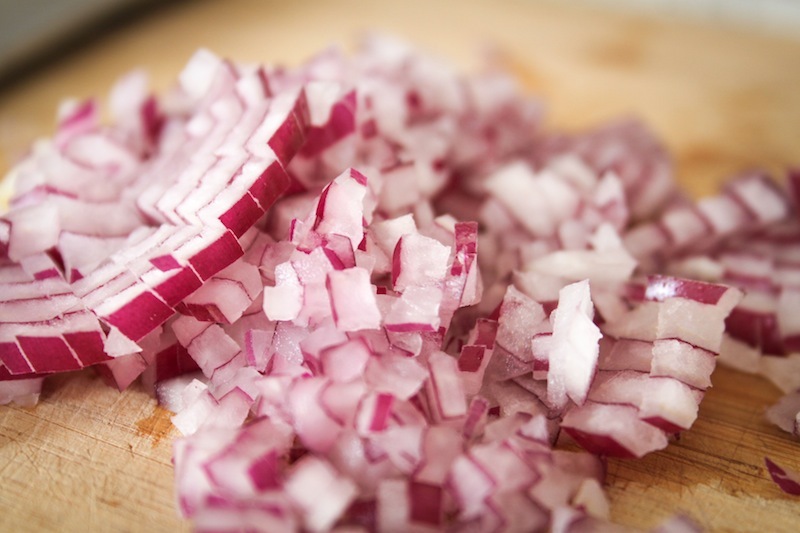 Stir well to combine, then place in the fridge and allow to marinate for at least 2 hours. 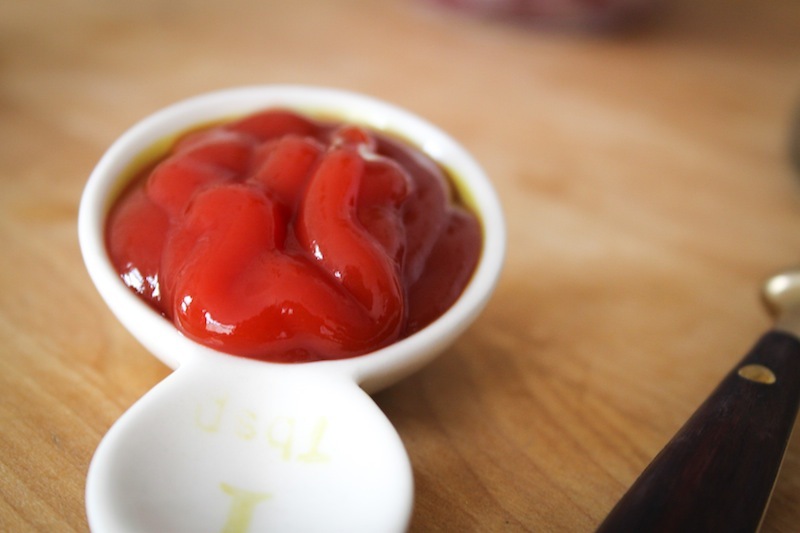 Serve in small glasses garnished with extra ketchup and mayo, and maybe even a sprig of cilantro. Note: You may want to leave some (but not all!) of the marinating juice behind in the bowl when you’re scooping the ceviche. Sounds good. I guess in Colombia it either makes them fall in love or kills them ! !